"With Democrats united and Andrew Gillum leading the fight, we know we will flip Florida blue"
Today, Florida Democratic Party Chair Terrie Rizzo released the following statement on Andrew Gillum's announcement in Miami Gardens. 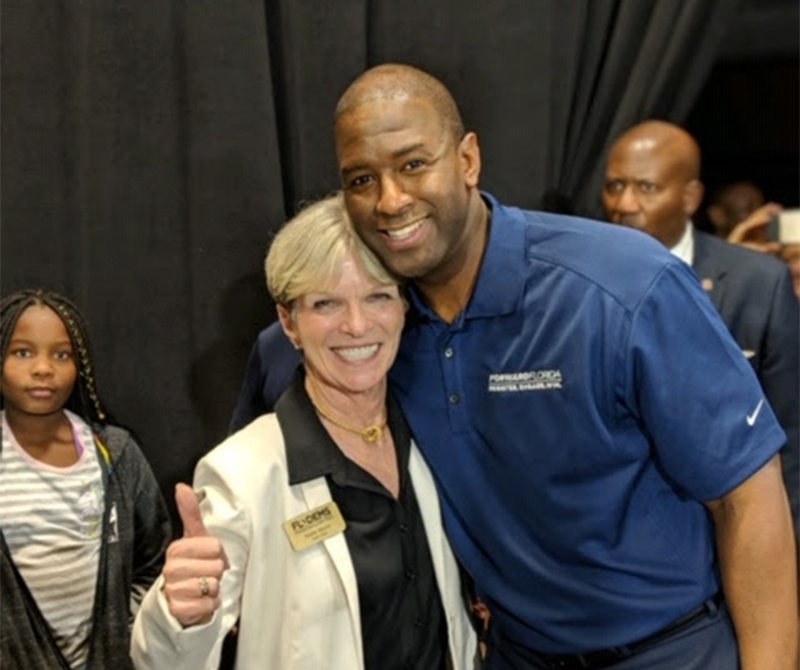 Chair Rizzo, pictured above with Andrew Gillum, attended the event at Florida Memorial University. "Andrew Gillum is one of Florida's most exciting and inspiring leaders — and I am ecstatic that he is on the frontlines in the fight to turn Florida blue," said FDP Chair Terrie Rizzo. "Andrew's investment and attention in voter registration is exactly what we need right now to win, and the Florida Democratic Party looks forward to working closely with him. With Democrats united and Andrew in this fight, we know we will flip Florida blue and put a Democrat in the White House."